Oleksandr Usyk is "looking for the heart of the king" of Anthony Joshua, his team have threatened. The undisputed cruiserweight champion Usyk is locked in negotiations to defend his four belts against Tony Bellew in November in the UK, but has made no secret that his long-term target is in the division above against Joshua. 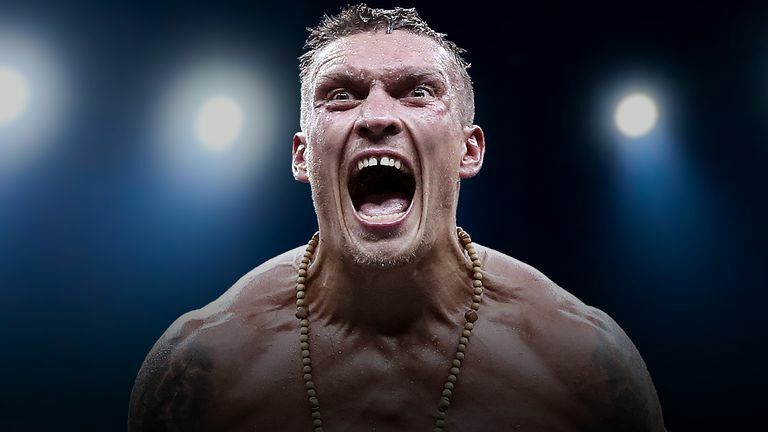 Usyk, Bellew and Joshua - who will defend his heavyweight titles against Alexander Povetkin on September 22, live on Sky Sports Box Office - are now stablemates after the Ukrainian signed a promotional deal with Eddie Hearn's Matchroom. I can anticipate that Usyk vs Joshua could be something really, really extraordinary in modern boxing. "Once he starts his journey in the elite division he would be looking for the heart of the king, and Joshua is the king at heavyweight right now," Alexander Krassyuk of K2 Promotions, who are working alongside Matchroom with Usyk, told Sky Sports. "So I can anticipate that Usyk vs Joshua could be something really, really extraordinary in modern boxing." Usyk and Joshua both won Olympic gold medals at the London 2012 Games - the Ukrainian won at heavyweight (comparable to the professional cruiserweight division) while the Team GB representative won at super-heavyweight. They hold a combined seven world title belts and are unbeaten in 36 total fights. "We will make our best to make it happen by the end of next year," said Krassyuk about Usyk's heavyweight debut. Former WBC cruiserweight champion Bellew has already made the step up to heavyweight and twice succeeded against David Haye, but plans to drop back down to challenge for Usyk's four belts. "Bellew is not a kid to get knocked out easily," Krassyuk said. "We should not step too far ahead. But if Usyk wins, he will definitely move to heavyweight." 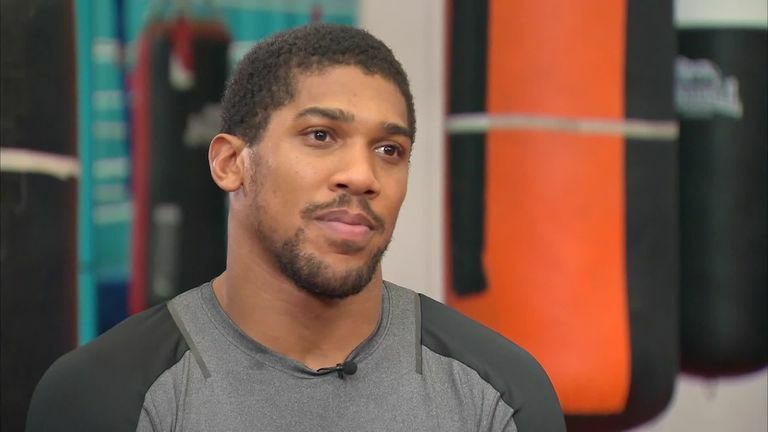 That impending move was welcomed by Joshua, who said: "If he moves up correctly, yes," when asked about Usyk by US media on a DAZN conference call on Monday night. "You've got to remember that the heavyweights of this generation are a different kettle of fish. "We're different to the Muhammad Alis and the Rocky Marcianos. Guys like me, Tyson Fury and Deontay Wilder used to be clumsy. "Now our co-ordination is good, we can punch, we are strong. "So Usyk needs to move up in the right stages, and figure out what it's like being with 17 or 18 stone guys who can punch very hard. "It's not just based on skill, the heavyweight division. It's based on will. How much you can take. "I know he's got amateur experience and has done well as a cruiserweight but if he moves up to the heavyweight division, it will also test his will as well as his skill. It will be interesting to see how he develops. "He's more than welcome because he's a good asset to the sport."